State College, Pennsylvania, may be best known as a college town, but that’s not the only reason that people decide to spend time there. Located in central Pennsylvania and surrounded by protected forest, State College is filled with outdoor experiences to enjoy that have nothing to do with a football field. Locals have long known what more and more people are discovering—that State College is a great place to spend time outside. Here are some of their favorite spots to explore. State College is literally minutes from the Rothrock State Forest to the south and the Black Moshannon State Park to the Northwest. And those are just two of the bigger options for camping and outdoor adventure in the region. 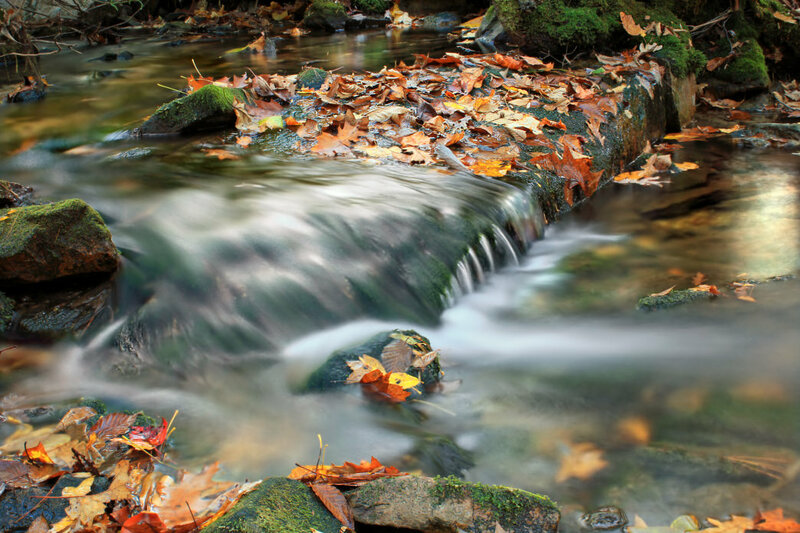 The Rothrock State Forest is home to one of few remaining old growth forests in the state of Pennsylvania, and this natural area is the perfect spot to explore, whether on a serious primitive camping trip or with little ones at a designated campground. Car camping is permitted at eight designated locations throughout the state forest, and these sites provide for off-road parking, a campfire, and a picnic table. Camping permits required for these sites are available from the state forest’s district office. Backpackers may camp overnight almost anywhere with a few restrictions: Not in designated natural areas, within 200 feet of a forest road, within 25 feet of a trail, or within 100 feet of a stream or any open water. If you’re planning on camping more than one night, permits are required. One option in the state forest is Penn Roosevelt State Park, which offers rustic tent camping and peace and quiet for those who like having a place to themselves. The park area is small, but is surrounded by 80,000 acres of the state forest and provides access to the Mid State Trail for day hiking or backpacking (see below). You also have access to a small lake where you can cool off. Perhaps no other area of Pennsylvania is filled with so many options for hikers. The most classic Happy Valley hike is a trip up Mount Nittany. Penn State students and alumni flock here for views of campus—especially at sunset. You’ll have no problem following the signposts to make your way to the top, and the 3.5-mile White Trail is the best route to the well-known Mike Lynch Overlook. From the top you’ll see popular Penn State sights like the massive Beaver Stadium, which holds over 100,000 football fans. The Mid State Trail, as the name suggests, bisects the state of Pennsylvania, running through the State College region. For a serious trip, hikers could tackle the full 330-plus miles, starting at Maryland border and traveling north to New York State. It’s known as the “wildest footpath in Pennsylvania, and while the full trip is probably a once-in-a-lifetime event more most hikers, you have easy access to multiple sections of the trail in the State College region. You can access the trail at Poe Valley State Park, where you’ll be able to navigate through the only tunneled section of the trail, a 250-foot abandoned railroad passage through West Paddy Mountain. You can follow the path along Penns Creek before a pedestrian bridge leads you up to the tunnel (and bat hibernation habitat). For some less strenuous hikes, Black Moshannon State Park is known for relatively flat terrain surrounding some spectacular wetlands. The park’s unique tea-colored water is the result of clear spring water flowing through mossy bogs that becomes colored by the plant tannins. 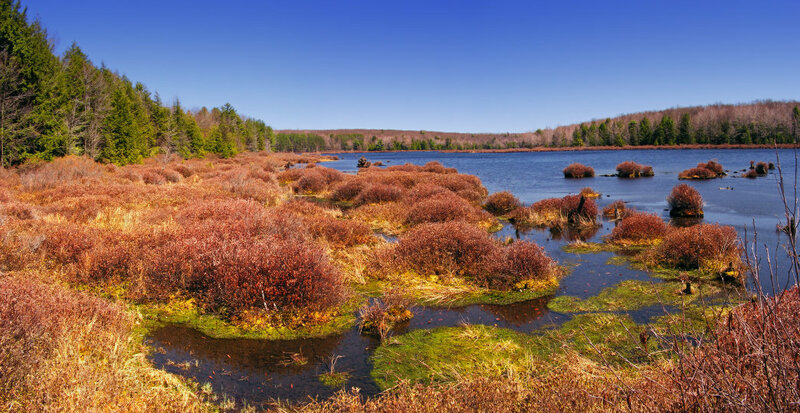 The 7.7-mile Moss-Hanne Trail gives you a good view of the bogs, and you’ll travel through hemlocks, stopping at collect-your-own blueberry patches (in season during the mid to late summer) and beaver ponds. Follow the boardwalk to explore the diverse marsh. State College has quickly become one of the top mountain bike destinations in the region, thanks to the diversity of trails and terrain at Rothrock State Forest. 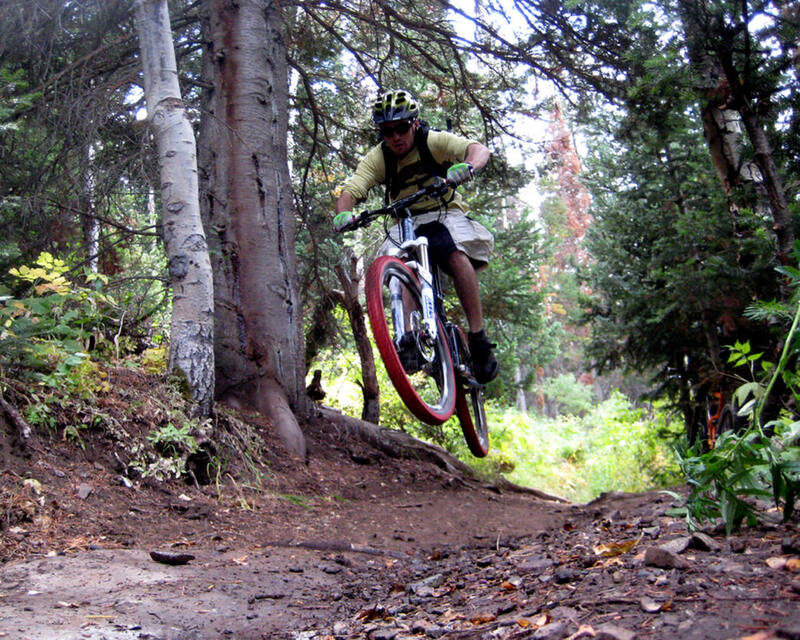 You’ll find opportunities for all kinds of riders, from pros craving technical, rock-strewn singletrack to newbies still easing into the art of off-road riding. For experienced riders, Rothrock State Forest is home to two International Mountain Biking Association Epic Rides. First, there’s the 36 mile Rothrock Trail Mix, a ride scattered with sizeable rock gardens, ridgetop runs, and exhilarating descents, showcasing both some of the state forest’s most spectacular scenery and most demanding singletrack. The Cooper’s Gap Epic is a 27-mile route seamlessly cobbled together using an eclectic assortment of trails, including tracks like the rock-and-root scattered Deer Tick Trail and the silky smooth Dutch Alvin Trail. Besides Rothrock’s epic distance circuits, the state forest is also loaded with worthy trails for mountain bikers seeking a shorter excursion. One of the gems is the 4.2-mile Tussey Mountain Trail. After a gradual ascent, the trail crests Tussey Mountain and rambles along a ridgetop cleared by a wildfire just over a decade ago, making the lofty stretch of singletrack especially scenic. The Tussey Mountain Trail can be ridden as an out-and-back from Bear Meadows Road, or can be tacked onto a longer loop. It’s not just mountains that surround Happy Valley. There’s plenty of water to play on. 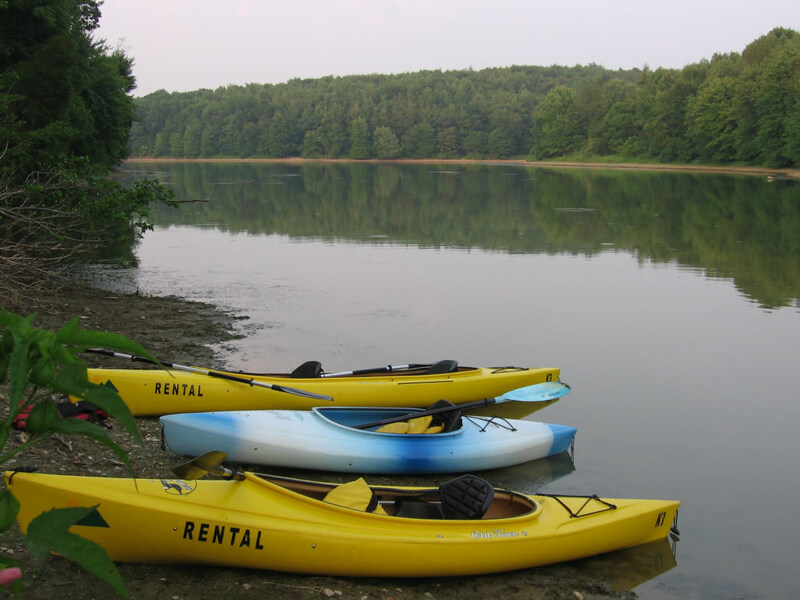 A dream park for water-lovers, Whipple Dam is just 12 miles from State College, and its lake is open just for kayaking, canoeing, paddle boarding, swimming, and boating with an electric motor. Rent a board or boat Fridays to Sundays in summer season, or keep your toes dry and go for a hike around the lake’s only trail. The Whipple Lake Trail loops three miles around and passes the stream that feeds the lake then rises above it for an overlook lake view. F.J. Sayers Lake is the showpiece Bald Eagle State Park, and it’s a haven for boaters, swimmers, and anglers. Set beautifully against Bald Eagle Mountain, the lake is eight miles long with 23 miles of shoreline. 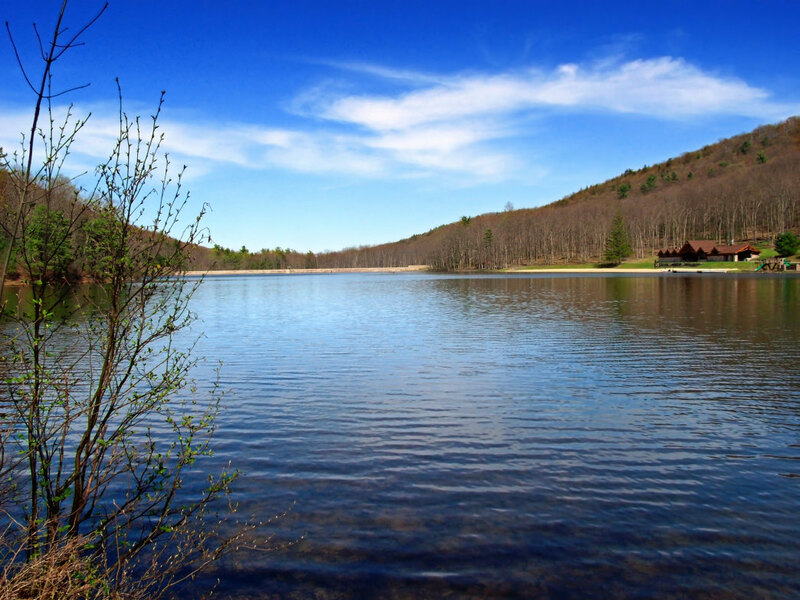 Just 20 minutes from State College, visitors will enjoy swimming in the lake, kayaking, and lounging on the sandy beach. The area is also known for its unique bed and breakfast/interpretive center—the only one of its kind in the Pennsylvania State Park system—called The Nature Inn at Bald Eagle. Interpretive exhibits here showcase birding in the park and encourage kids and adults alike to venture outside. Happy Valley is also a destination for avid anglers, as it’s one of the state’s best trout fishing destinations with more than 216 miles of trout fishing waters. But trout’s not all that’s available to catch in the areas waterways: perch, catfish, and bass are also abundant. Whether you fly fish or cast a line from the shore, here are the places to drop a line around State College. No matter what you like to do outside, you can find it near State College—and when you’re finished, you have all the amenities of a top-notch college town as well, including breweries, restaurants, and lodging. After all, you don’t need to rough it to get the most on a trip to Happy Valley. For more info on how to make the most of your adventure, request a visitors guide from the Central Pennsylvania Convention & Visitors Bureau. You can also stop in at their visitor centers in State College and Bellefonte. Written by Jeff Banowetz for RootsRated Media in partnership with Visit Penn State.